Today, we live in a world with advanced medical technology and practices that can treat many illnesses and injuries, keeping people alive longer with a better quality of life. This is largely due to the profound knowledge experts have on the human body and the afflictions that can harm it. Such extensive knowledge of the human body is partly possible because of body donations. The medical and scientific community can learn more about the human body. The family of the deceased loved one can obtain a free cremation service. How does donating a body help science? Donating a body to medical schools, medical research organizations, and medical product manufacturers helps the development of new procedures, treatments, and life-saving products and medicines. Advancements have been made in the battle against diseases such as cancer, Alzheimer’s, diabetes, and heart disease because medical professionals had the opportunity to examine donated bodies. Doctors, researchers, and students can learn more about how these diseases ended the lives of the departed, and how to perform procedures and develop methods against the illnesses. Additionally, most medical organizations who request body donations guarantee respectful treatment and use of the body. A donated body is likely to be kept from a month to a month and a half before it is cremated. How does donating a body help the families of the departed? Your loved one may want their body to help others after they pass. Donating their body to science can be an excellent way to honor their wish. It’s also comforting for friends and family to know that their loved one’s death is benefitting the lives of others. Another benefit is the cost reduction. Most organizations will cover the costs of cremation, transportation of the body, and transportation of the cremains back to the family with certificates of authentication. Some crematoriums offer additional honors for the departed. 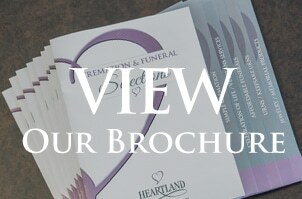 For example, Heartland will build an original web page documenting the life of your loved one. 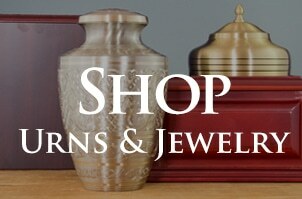 The family of the departed will usually pay for only a decorative urn and, if desired, a memorial service. Do you have any questions about cremation or donating a body for medical purposes? Heartland Cremation can help provide you with the guidance and planning you need for arranging the cremation of your loved one. Family-owned and operated, Heartland Cremation serves the Kansas City area, including the communities of Overland Park, Leawood, Prairie Village, Lenexa, and Olathe. Please contact us to discuss your cremation needs today.